Analyst Chris Whitmore of Deutsche Bank believes Apple needs to take charge with Wednesday's conference call, he said in a note to investors. By doing so, the company could "reinvigorate excitement" among investors, and also "rekindle its past PR magic." "The news cycle on Apple has turned decidedly negative following the iPhone 5 launch, the Maps snafu, traction from competitors in the 5-inch and 6-inch Android space, and general perception from the media that Apple has lost its mojo," Whitmore said. "Apple needs to change the tone of the conversation." 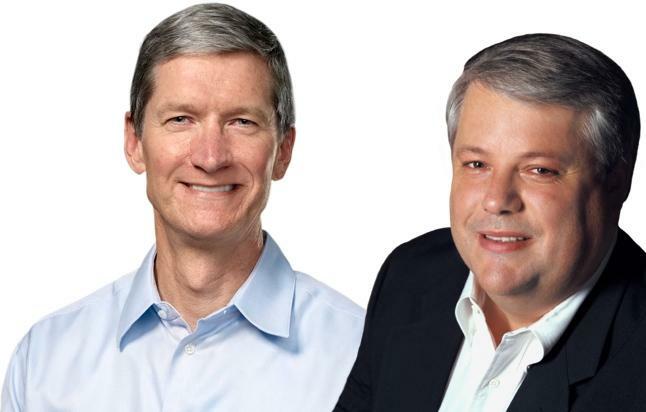 Apple CEO Tim Cook and CFO Peter Oppenheimer will lead Wednesday's earnings call. He expects the focal point of Apple's call on Wednesday will be the state of iPhone demand into 2013. Whitmore's own checks with carriers have found that iPhone 5 demand remains healthy, and he has dismissed recent concerns regarding reductions in component orders as "overblown." While he believes Apple will attempt to take control with Wednesday's call, don't expect the company to reveal insight into its future product pipeline. Apple has always maintained its secrecy during investor calls and executives refuse to respond to inquiries about potential future plans. "Although we don't expect Apple to comment on new products in conjunction with its earnings release, we believe new products (iPhone segmentation, iPad mini with Retina display, refreshed iPad and an Apple TV) are on the horizon, which should improve Apple's growth outlook," he said. Apple will report its earnings after the market closes on Wednesday, and a conference call featuring Chief Executive Tim Cook and Chief Financial Officer Peter Oppenheimer will follow at 5 p.m. Eastern. AppleInsider will have full live coverage. For a closer look of Apple's first quarter earnings for fiscal 2013, see AppleInsider's in-depth preview, featuring Wall Street expectations for revenue, margins, and individual product sales.